What is a sales analysis? 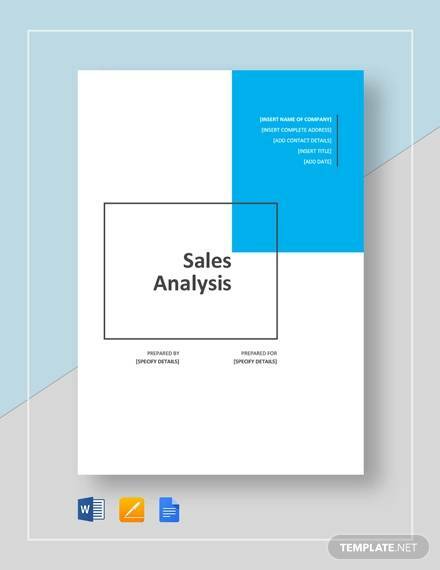 A sales analysis is a sales report that shows the trend of a company’s sales in a specific time frame or over time. This trend could be an increase in sales or a decrease in sales. Managers use the SWOT analysis to help them create a strategy for the company’s improvement. SWOT stands for strengths, weaknesses, opportunities, and threats. Writing a sales analysis is like writing a summary. All of findings that you have acquired about the sales trend has to be included in it. 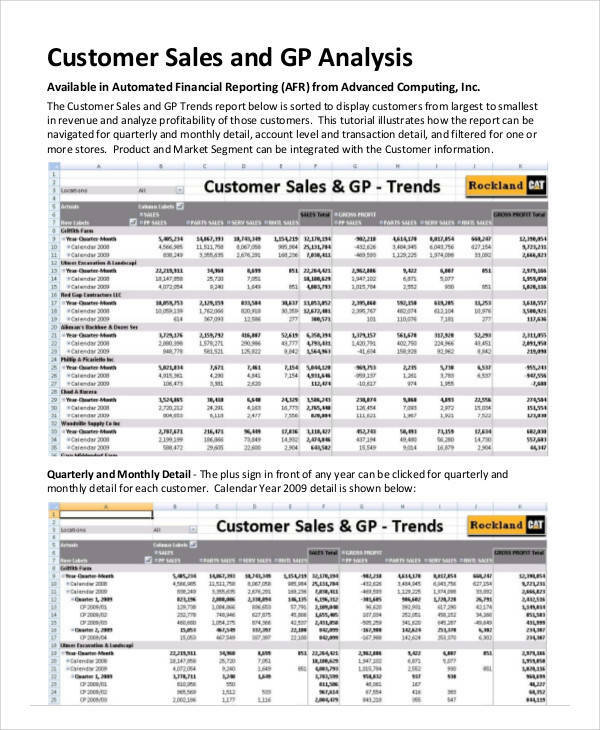 The best way to do would be to use our sales analysis samples that are available for download. What Is Paired Sales Analysis? 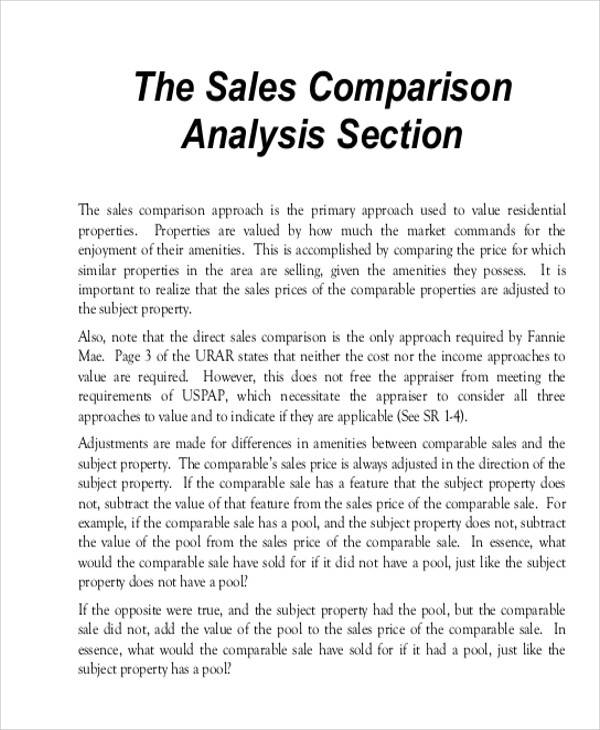 A paired sales analysis is a technique used by an appraiser to determine the value of two or more similar properties. The properties are being compared and appeased based on their features. These features could be what the facade is made of, the size of the parking lot or its nearness to other establishments. 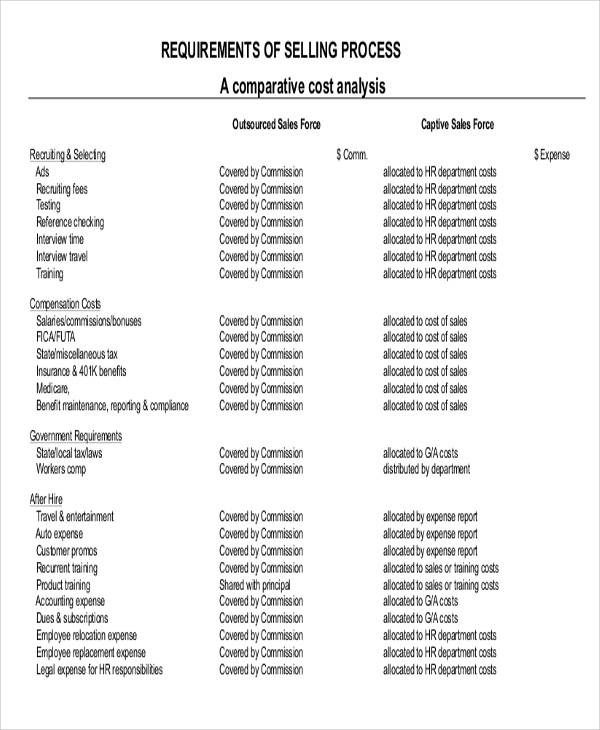 Appraisers use this technique to adjust the value of each property in the sales comparison analysis that they made. 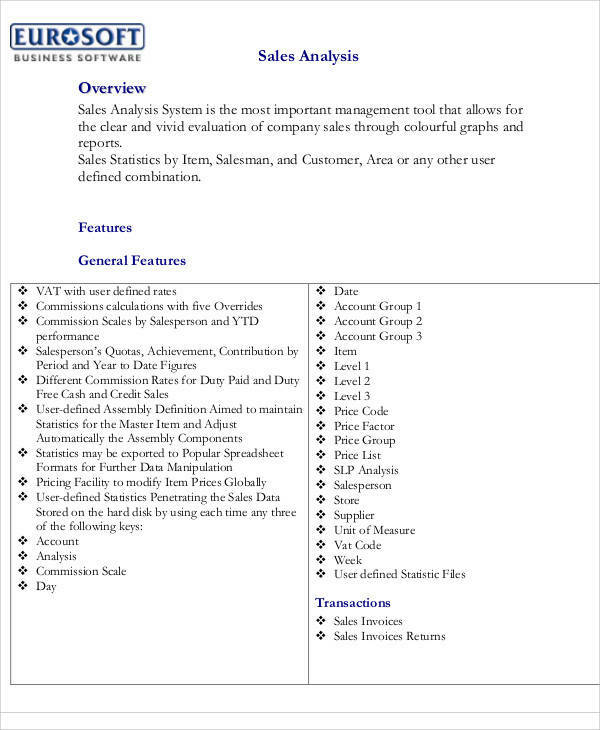 Select an application where you can input and analyze your sales data. Determine a centralized location where you can view the data you have entered. Always have real time date sales update. Include tools that allow you to visualize your data. And have data analysis that is time based. If you view your sales on a specified span of time, you will be able to compare the sales performance for that given span of time. 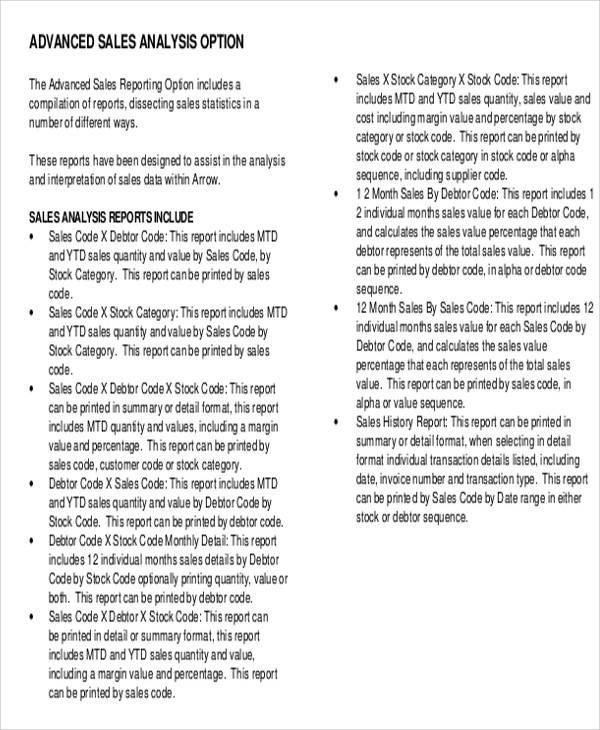 You may also find our product analysis report and sales reports useful. Follow the steps below to be able to write you own sales analysis report or business analysis report. 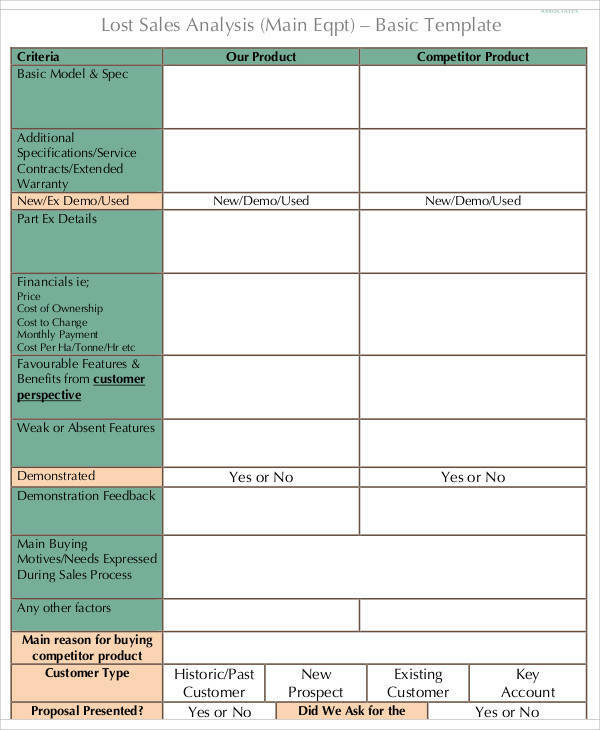 List all of the dates that are related to your sales report. Also include the specific department and other information that is covered by the report. Share the good news of your report first, like the sales increase or if you have exceeded your sales goal for the week or month. After providing the good news, provide the rest of the report for the week or month. Discuss each one separately and then compare them with each other. Lastly, include other statistics that are relevant to the report. 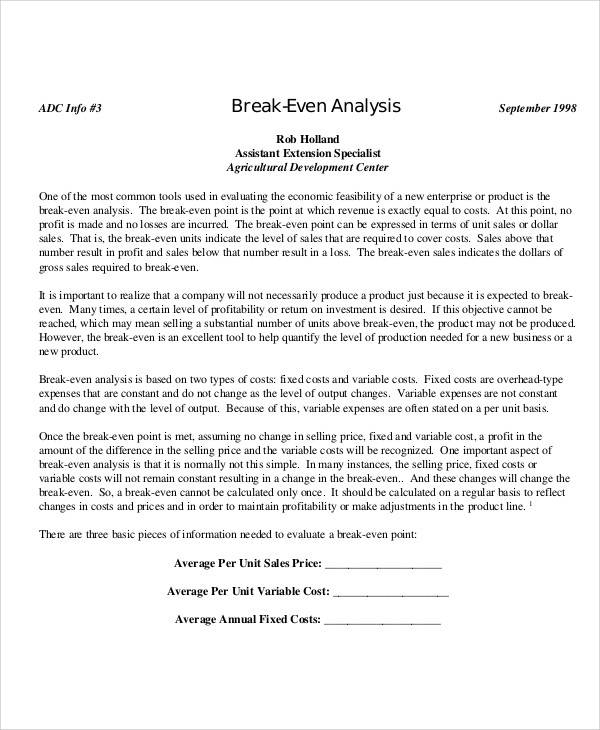 A descriptive sales analysis is the type that is easiest to make. It uses raw data to create a narrative that is then presented to the public, like in census reports. Mechanistic is the type of sale analysis that is used primarily in physical and engineering sciences because it is a complex form of data analysis. Causal is considered as the gold standard for data analysis. 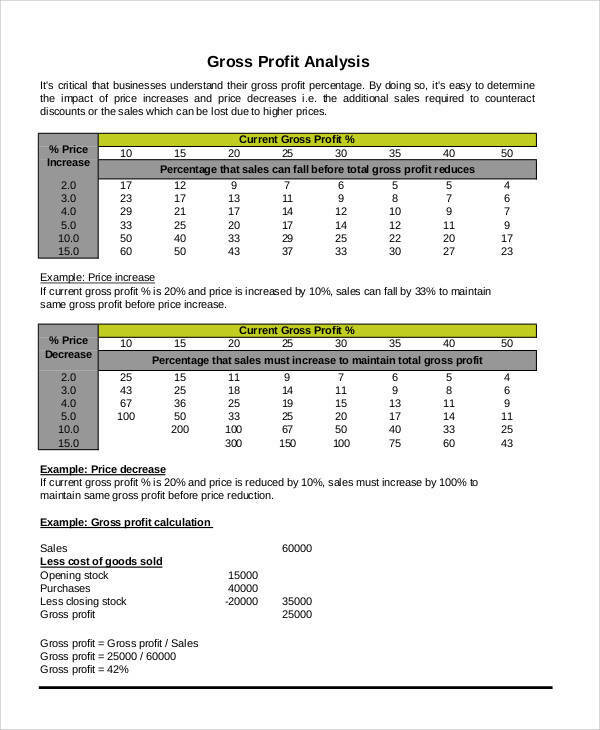 Exploratory sales analysis explores data to check for any correlation. A predictive sales analysis is used to provide a prediction that is based on the sales behavior in the past. 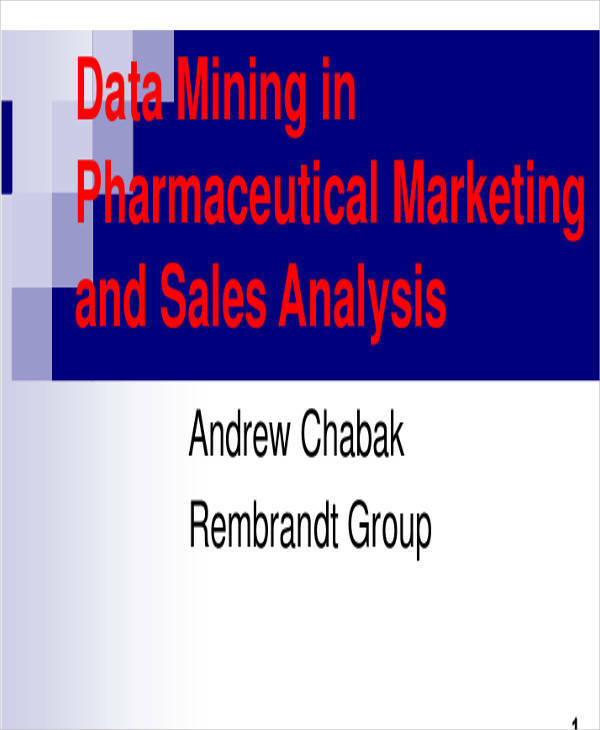 An inferential sales analysis aims to determine data based on its results. You can also check our analysis samples.